Nokia will transfer its devices business to Microsoft later this year. Troubled mobile phone maker Nokia posted a sharp drop in sales as consumers continued to opt for rival devices. Nokia's fourth quarter results released Thursday are likely the company's last before its hardware business is brought into the Microsoft (MSFT) fold. Nokia's (NOK) mobile phone and tablet division will be transferred to the company in the coming months, after Microsoft agreed in September to pay €5.4 billion ($7.4 billion) for the unit. Sales for Nokia's devices business slumped 29% over the year. The Finland-based company blamed "intense smartphone competition at increasingly lower price points" for the heavy drop. 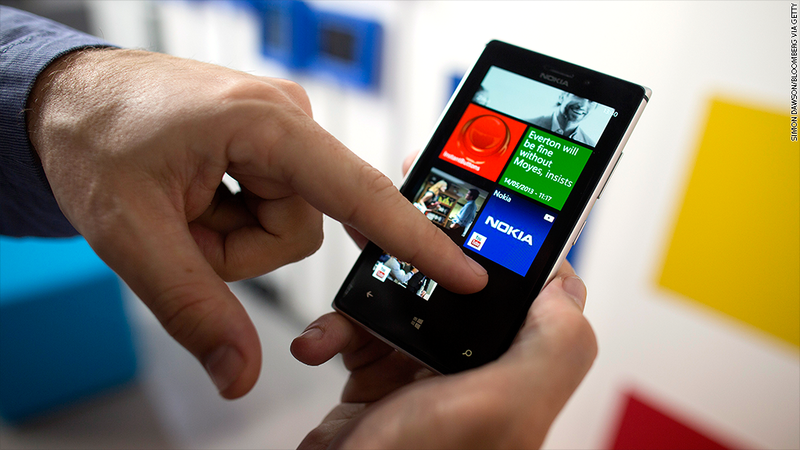 Nokia sold 8.2 million of its top-of-the-line Lumia smartphones in the final three months of last year. Though that's nearly double the Lumias Nokia sold in the fourth quarter of 2012, it's also 7% less than the 8.8 million Lumias Nokia sold in the third quarter of 2013. Smartphone sales typically rise during the holiday period, but consumers proved to be more interested in other options, including Apple's new iPhone 5S and 5C, which were released just before the start of the fourth quarter. Like Blackberry, Nokia was once a giant in the handset market but has seen its fortunes fade as it struggles to keep pace with rivals. Apple's (AAPL) iPhone and Samsung's Galaxy S4 and even Google's (GOOG) new Moto X have managed to capture more buzz. Still, Nokia's devices business is crucial for Microsoft in its push to take on other gadget makers, as consumers shift away from Windows PCs to iPads, Android tablets and smartphones. 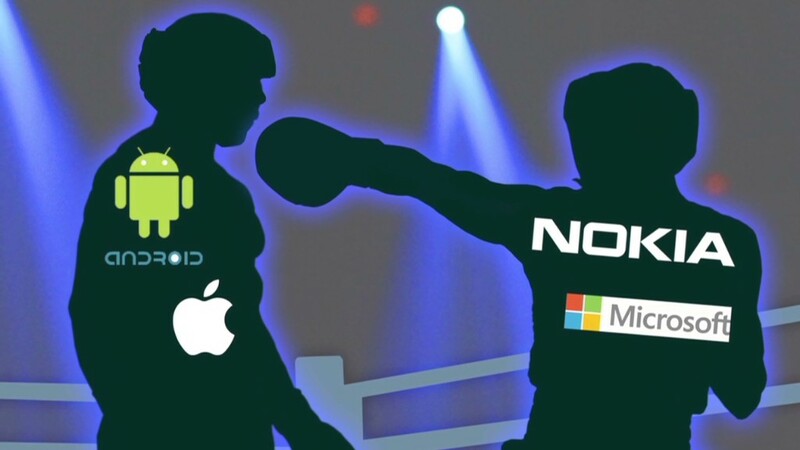 Most Nokia smartphones run Microsoft's Windows Phone software, helping Microsoft leapfrog BlackBerry for a very distant third place in the smartphone operating system market, behind Apple's iOS and Google's Android. Nokia shares slid about 4%. Microsoft is due to report results Thursday afternoon. After selling its devices business to Microsoft, Nokia will be left with its telecom equipment businesses which also recorded weak results. Fourth quarter sales for its solutions & network unit slumped 22%.